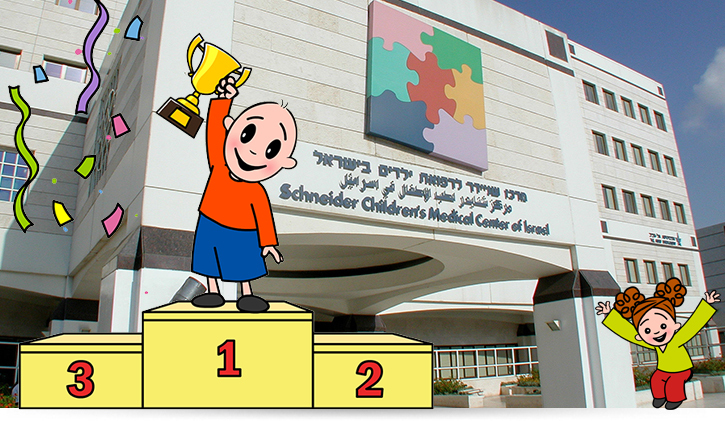 Schneider Children’s is the safest hospital in Israel among 28 hospitals on the Israel scale of safe hospitals, according to a survey conducted by the Ministry of Health during 2018. Key units in the hospital where errors can cause significant injury to patients were inspected. These included the pharmacy, blood bank, operating rooms, imaging machinery and the ER. In each of these departments, two parameters were checked: the first – the processes of safety management in the hospital; and the second – results of a safety incident. The data were calculated based on reports sent by the hospital to the Ministry of Health as well as an investigation conducted by outside investigators who underwent special training and checked the operation of the hospital in the field. Discussions were also held with medical and nursing team members to evaluate the level of their awareness regarding patient safety. The team in the Safe Care and Risk Management Unit at Schneider Children’s makes every effort to advance awareness regarding patient safety, and trains medical, para-medical, and nursing staff as well as other hospital employees in the adherence to regulations. Unit staff is headed by Deputy Director of Schneider Children’s, Dr. Avinoam Pirogovsky, and includes Idit Ronen, Coordinator of Safety Issues; Prof. Yitzhak Versano who serves as a consultant; Dr. Vered Hopper, Nurse Ofra Malichi and referent to the Operating Room; Tal Zilberstein, coordinator of quality control; and secretary Mazal Avdorachmanov.